Eagles ALL NEW Platinum Series vest is designed for the skier that wants the latest technology, newest materials, and unique look. Platinum vests are made from the same flexible neoprene our other vests are made from, but we laminate a highly flexible Metallic Silver rubber coating to the front. Air, wind, and water will not penetrate this coating. This vest also comes standard with 13mm floatation in the front and 20 mm floatation in the back to offer the rider a bit more float at the end of each pass. This vest is unique to Eagle Sports. It will get you noticed on the water. 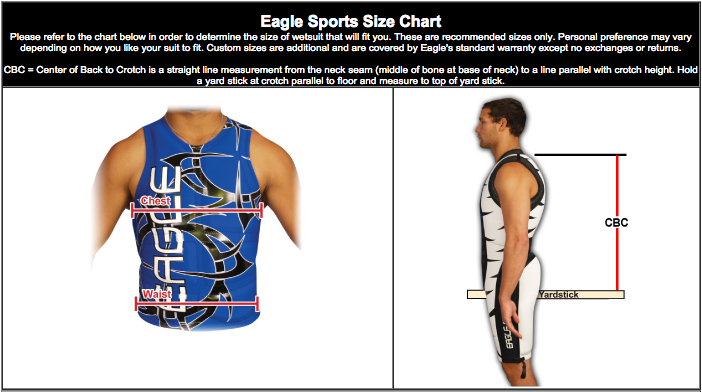 The Eagle Platinum Vest is made from the most flexible and highest grade neoprene available.